Find Clermont, IN Homes for sale. View Photos, Maps and MLS Data Now! Chapel Glen - Easy access to downtown, airport & shopping. MLS#21635138. 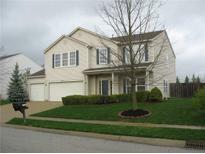 Keller Williams Indpls Metro N.
Tansel Woods - Need I say more - this is your new home! MLS#21635308. F.C. Tucker Company. Good location in heart of Clermont. this MLS#21634998. RE/MAX Advanced Realty. The Ridge - Multiple outdoor spaces including a screened-in bluestone patio off the main floor, and private balconies off the owner's suite and back bedroom, where you can watch the sailboats pass by. MLS#21631887. Redfin Corporation. Meadows At Eagle Crossing - All of this on a premium lot with no rear neighbors. See today! MLS#21635270. Carpenter, REALTORS®. Shiloh Creek Estates - The back yard has a mini barn, delightful landscaping and mature trees, the perfect getaway for entertaining guest. MLS#21633173. F.C. Tucker Company. Williamsburg Village - Community amenities. Pool, tennis and walking paths. MLS#21633516. Go Fish Realty. Full basement includes full bath rough in. 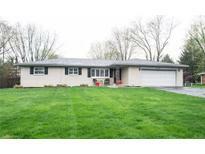 MLS#21633298. HMS Real Estate, LLC. Highlands At Eagle Creek - Beautiful paver drive leads you from the quiet street to this gem which was featured on the home garden show! MLS#21632875. Carpenter, REALTORS®. Persimmon Grove - 4' garage extension. Come see today! MLS#21633019. RE/MAX Realty Group. 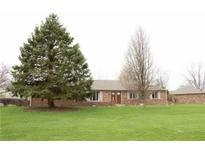 Country Meadows - large deck overlooking tons of trees and grass! MLS#21633052. F.C. Tucker Company. Linden Square - All appliances stay. Open patio and nicely landscaped. MLS#21633037. RE/MAX Centerstone. Tremont Gardens - Updates include new kitchen cabinets, counters, flooring & appliances; newer furnace, A/C, siding, water heater, windows, carpeting & More! MLS#21632925. Carpenter, REALTORS®. This house is move in ready and won't last long! MLS#21632800. Home Finders Real Estate, LLC. Wynbrooke - Recent upgrades include a newer roof and dishwasher! MLS#21632542. Real Estate Opportunity. Wilshire Glen - Ideal spot for a young family to grow and for the established to thrive. MLS#21632643. F.C. Tucker Company. Country Club Pines - Priced to sell.... See it before it's gone!! ! MLS#21628800. F.C. Tucker Company. Home has been well taken care of and cared for. MLS#21632079. F.C. Tucker Company. Nature and luxury await nearby on the shore of Eagle Creek Reservoir. MLS#21631615. Keller Williams Indy Metro NE. 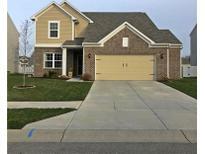 Clermont Lakes - Set your appointment to see the house today as it may be gone tomorrow. MLS#21631773. F.C. Tucker/Crossroads Real Es. Meadows At Eagle Crossing - gorgeous view of woods and a creek through the back yard. MLS#21631803. MYL Realty, LLC. Updates include Dishwasher 2019, HVAC 2015, Water Heater & Sump Pump 2012 MLS#21631402. Homesmart Realty Group. 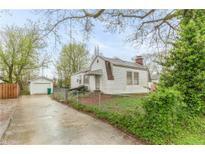 This home has tons of character and Move in Ready! MLS#21631706. E-Rocks Real Estate. Enjoy all the amenities of Chapel Glen with its pool, clubhouse, tennis courts, park & greenways & its own Chapel Glen Elementary School. MLS#21631008. Carpenter, REALTORS®. Tansel Wood Estates - Beautiful,well maintained Ranch home in one of the best kept secret neighborhoods in Indy!Original owner & pride of ownership shows thru out.Great room really is great-28X19 with skylights,fireplace & good layout.The covered back porch overlooking a park like backyard is wonderful,you will not be disappointed when you step out there.Kitchen has been updated with granite counters,solid surface sink,stainless dishwasher & oven,electric cooktop.Kitchen/dining area is open & large with lots of cabinet space.Laundry is on main level.There could be a possible 4th bedroom in basement but no egress window,it does have a large closet & there is 1/2 bath that could easily become another full bath.Dry basement w double sump pumps. MLS#21631358. F.C. Tucker Company.